So grab a cup of tea/coffee/hot chocolate and join me as I recall *very sketchily* my first trip out of the country this year to...Ho Chi Minh City (aka Saigon), Vietnam. Since I've been to Saigon like 6 times in the last year (for my other life), I finally found my fave hotel (to date) - Caravelle Saigon. It's a local establishment at a great location in District 1 (within walking distance of local landmarks), a fabulous international breakfast spread and an excellent concierge service. 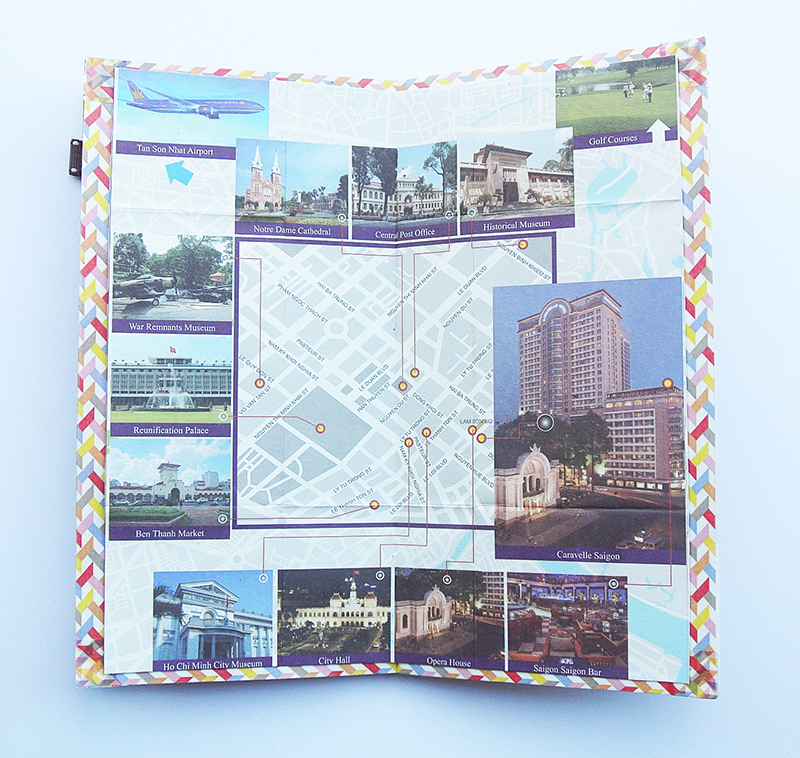 I incorporated the map that I took from the hotel by cutting it down and adding a washi tape border. 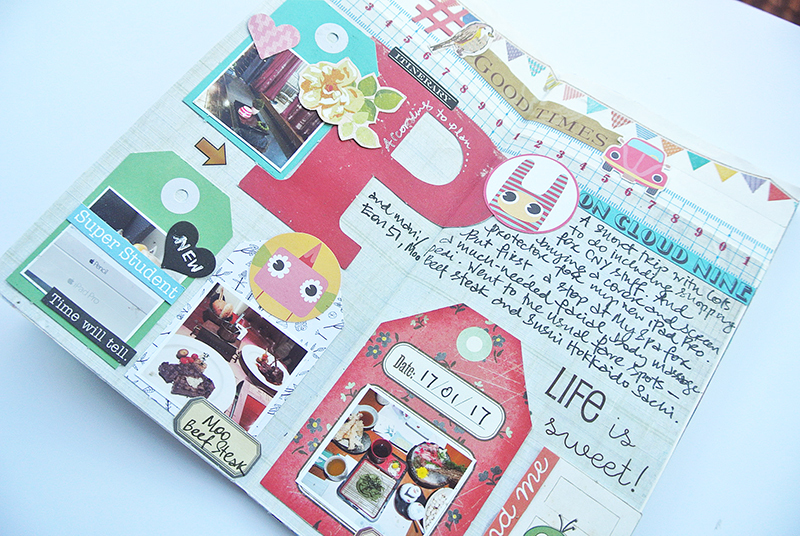 I went with washi tape in the center to try to unify the two pages. 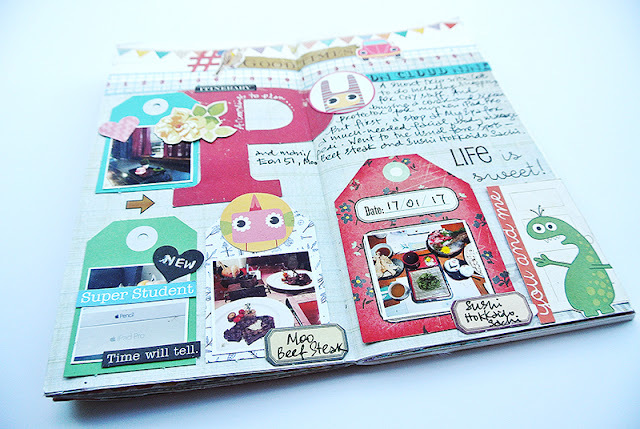 You can tell that I was a little overzealous with using my scrap bits because I didn't leave much space for journaling...haha. 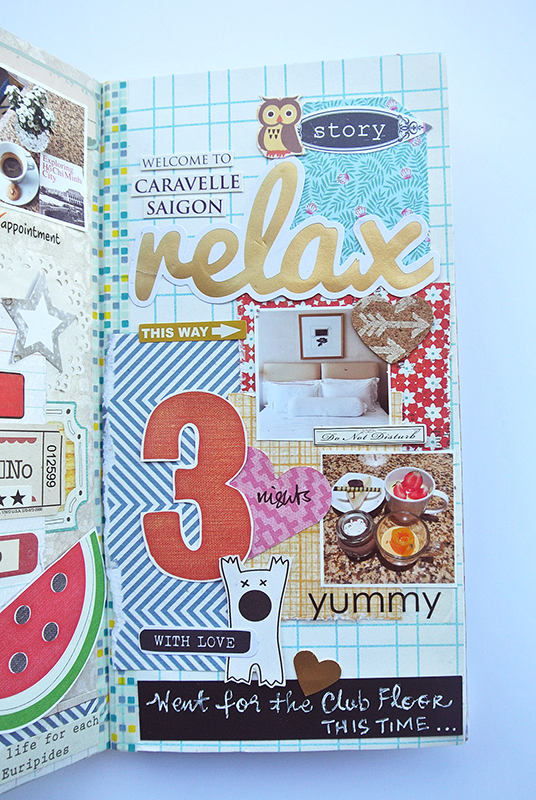 So I left a whole lot of space for journaling on the next pages. :) Like a quick summary of the places I went and things I did. I always make time for a facial, body massage, a manicure and pedicure when I travel to a less developed country because you get really good service at affordable prices (US$40 for all four). I like using TripAdvisor to pick out the good ones nearby. I also go with a list of fine-dining establishments I want to try out. Lunch time is great for eating at these places because you pay about 25% of the cost of dinner. If you have a strong stomach, try out the street food vendor stalls. Those are reportedly cheap and good. For me, I stick to restaurants because I've had food poisoning a few times and they were not pleasant experiences. 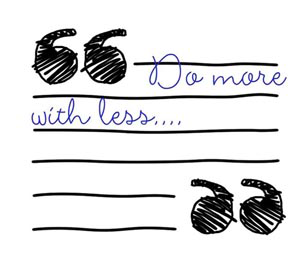 P/s: Happy week ahead friends! 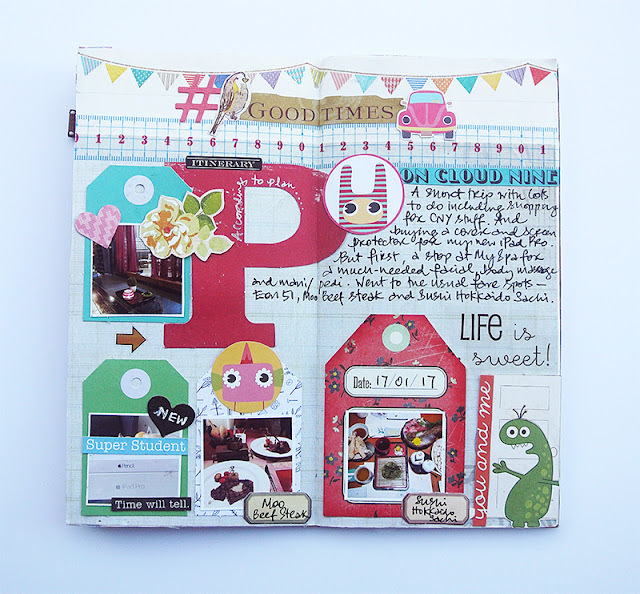 this is really awesome and I have been wanting to make too but haven't really sit down and done ! This is inspiring hope I get to get it done soon :) Its always a pleasure dropping in at your blog !! How fun! 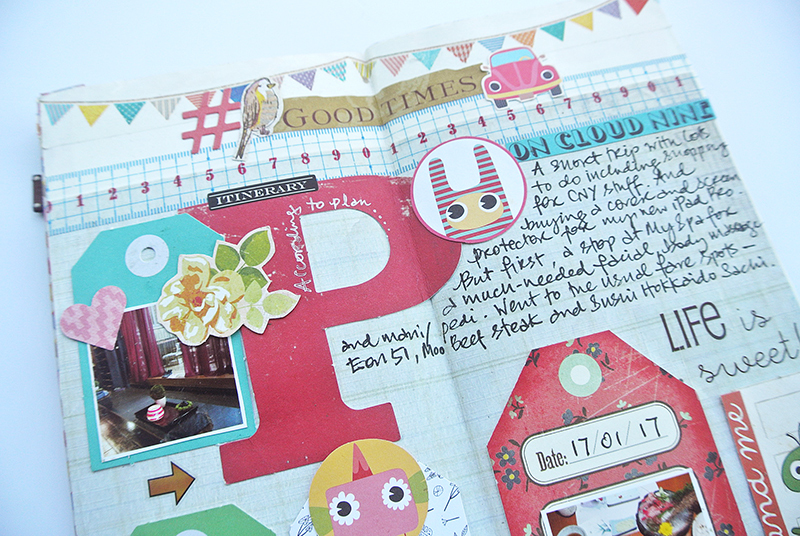 LOVING all the bits you have added to your pages! And YAY for doing these!!!!!!!!!!!!!!! Six times in a year? Wow. I'd like to hear more about this other life of yours! Your pages look great. Looking forward to seeing Japan! 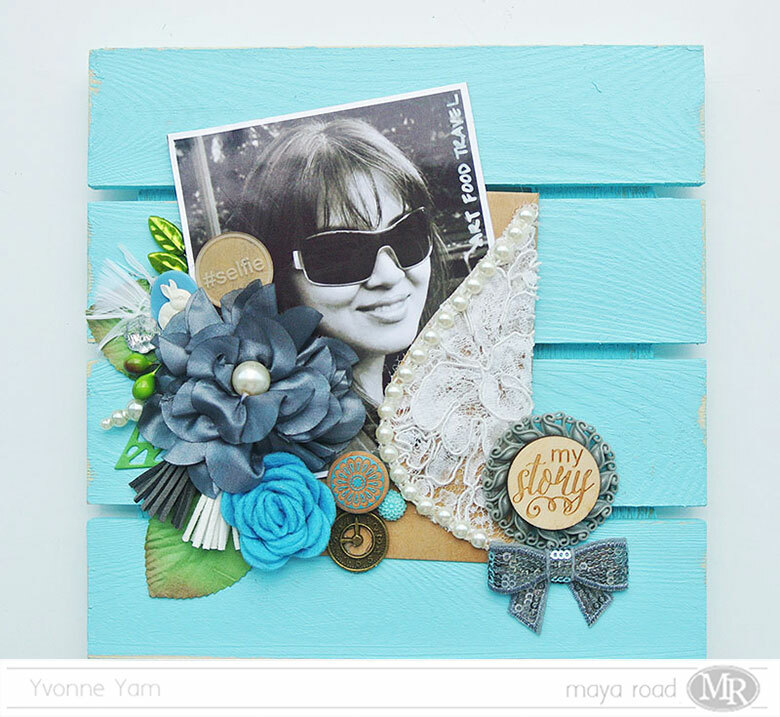 Oh, these are awesome pages, Yvonne! Sounds like some amazing traveling, too! ;) Thanks for sharing and can't wait to see more! 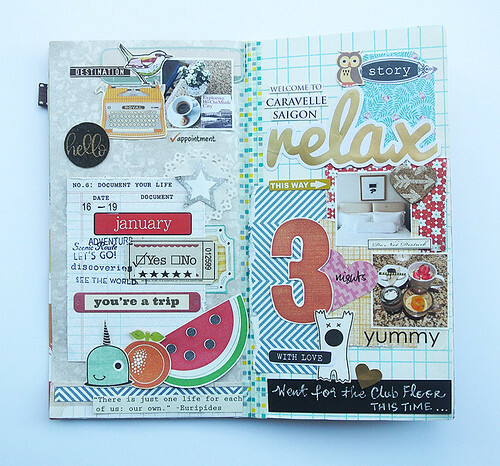 I love, love, love your travel journal....can you do mine? I just got back from a trip so I am inspired by your post. I travel a lot but mainly I have boxes of photos and many more stored on the 'cloud'. I really need to make some sense of our multitude of photos so our sons can understand more about us. Thanks for sharing and inspiring! Yay, go you! 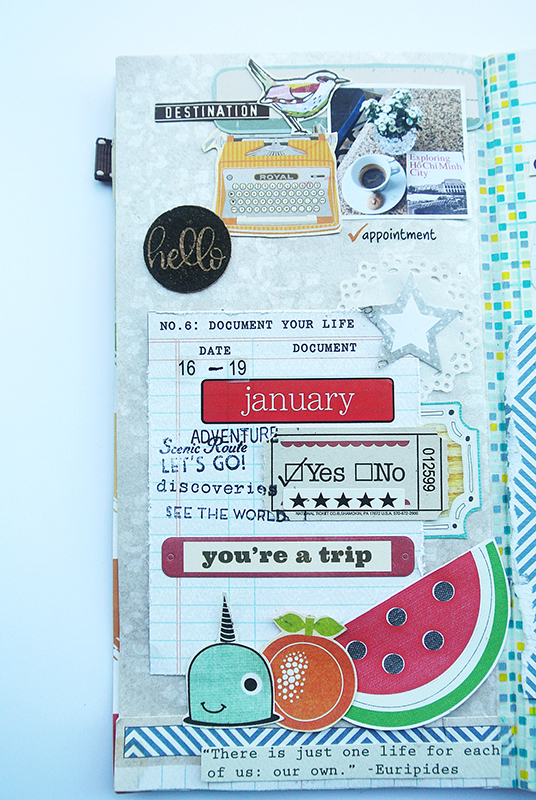 Your travel journal is looking awesome, my friend! 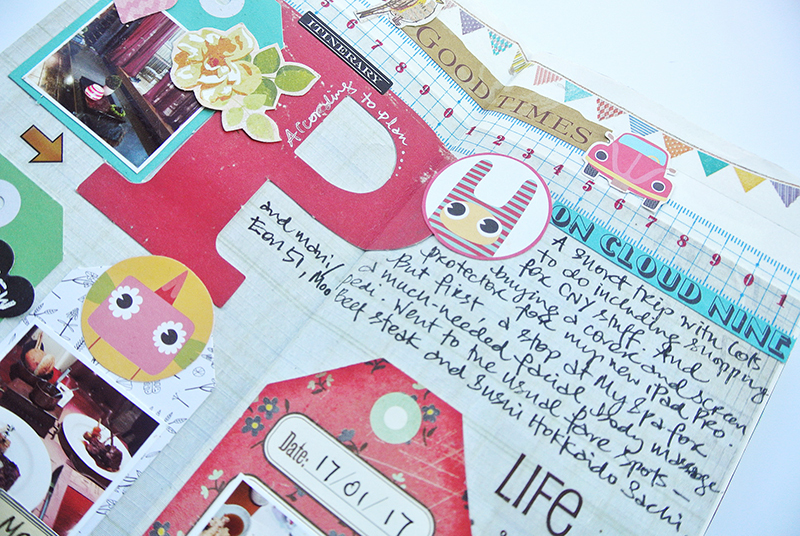 I am loving all the detail and all the fun and unique bits you've added to your January pages! And I think your stamping is awesome here. 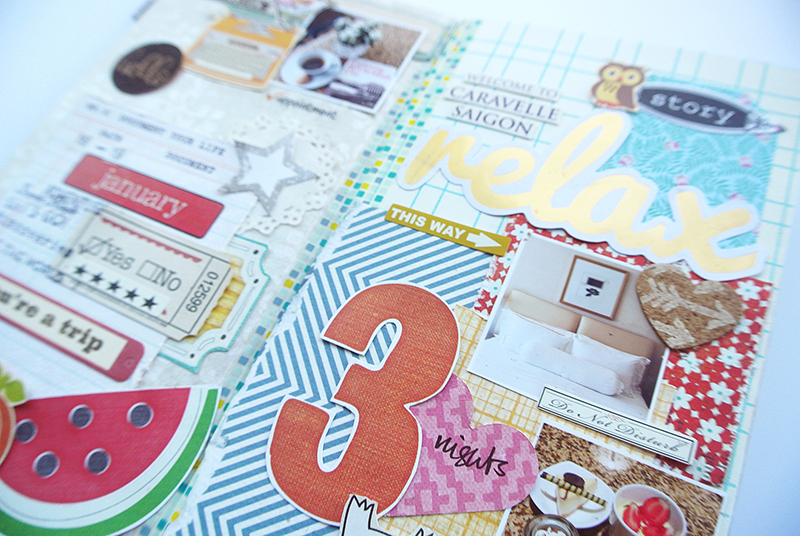 Reminds me a bit of passports stamps, which is perfect for this. Super cool! Can't wait to see more!